Asoka Technologies is a research and development center specialized in designing IEEE Final year Electrical projects for BE / BTech students. We develop, guide and prepare under graduates in their BTech / BE final year major projects so that they score the best marks in their graduation. We guarantee students get viable learning on the working and specialized points of interest of the project. Designers at Asoka Technologies do their best to answer all questions and clear doubts at any time. 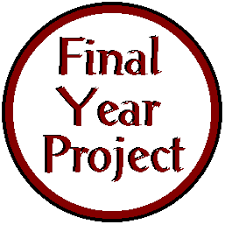 We also develop final year electrical projects according to your requirements and suggestions. Asoka Technologies always strives to help students in developing academic electrical projects with exact results and proper explanation. The extension of the paper can also be done as per student requirement. In our website there are variety of projects titles related to Electrical and Electronics Engineering, Power Electronics, Power systems etc. Readymade Projects are also available for BTech students with abstracts and documentation readily prepared.